I purchased an HP 2000-2c23dx because I needed a low-power laptop that I could use in the minivan. It cannot run Crysis, but it was on sale at BestBuy for $279. 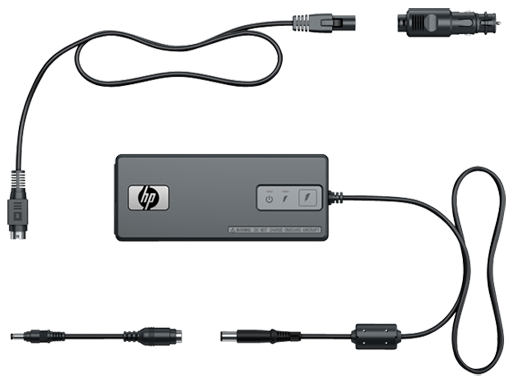 HP’s site provided frustratingly little information, Power – 65W AC adapter. Worse, I could not find a verifiably compatible DC power adapter for it, and I did not want to go DC-AC-DC. 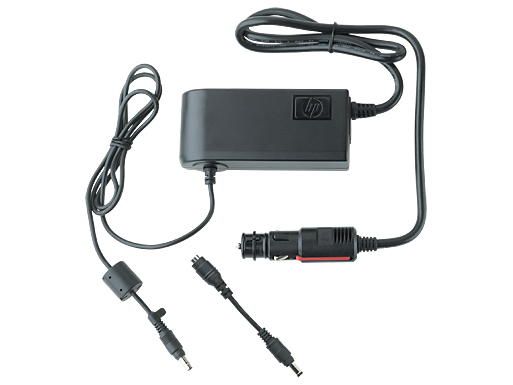 Searching HP’s store for “auto power” returned one hit, “HP 90W Notebook PC Auto/Truck Adapter” with absolutely no technical details nor compatibility chart. One drawback was that it clearly only had DC input. Frustratingly, I could not find information anywhere, HP or the net, on the power connector size on the laptop or the adapters, or a manual. 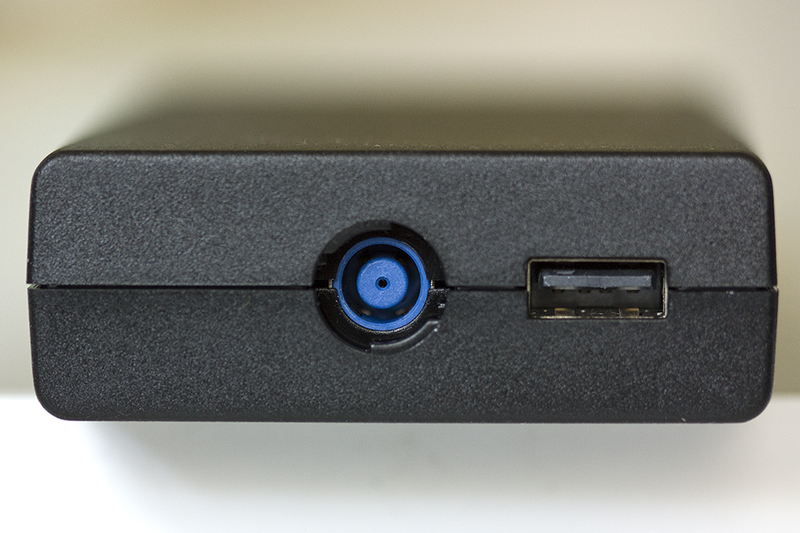 The DC connector on the AC adapter that came with the laptop looked similar to the black tip on the Combo w/USB (the yellow tip on both adapters was obviously too small). Also, I could not find anywhere how much power the USB port could put out. 2A would be nice because I could charge an iPad with it. Without much hope, I ordered the Combo Adapter w/USB. 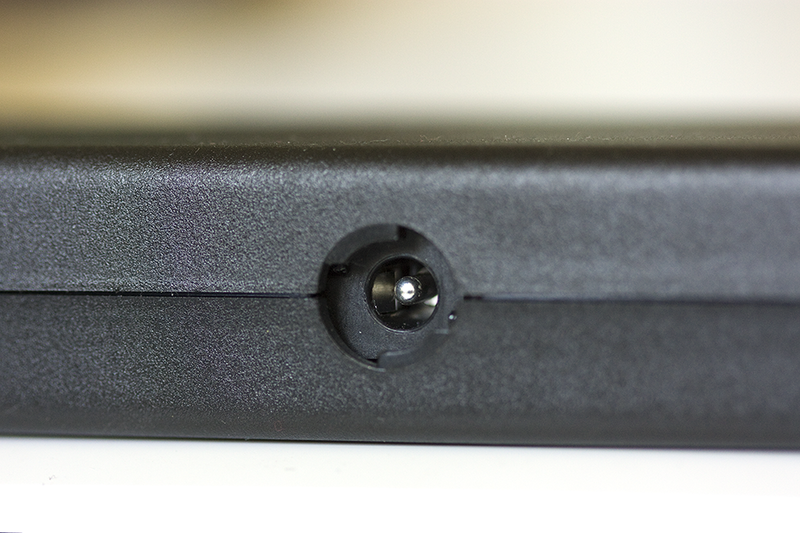 In case you do not want to scroll through the photos… the Combo Adapter w/USB works. 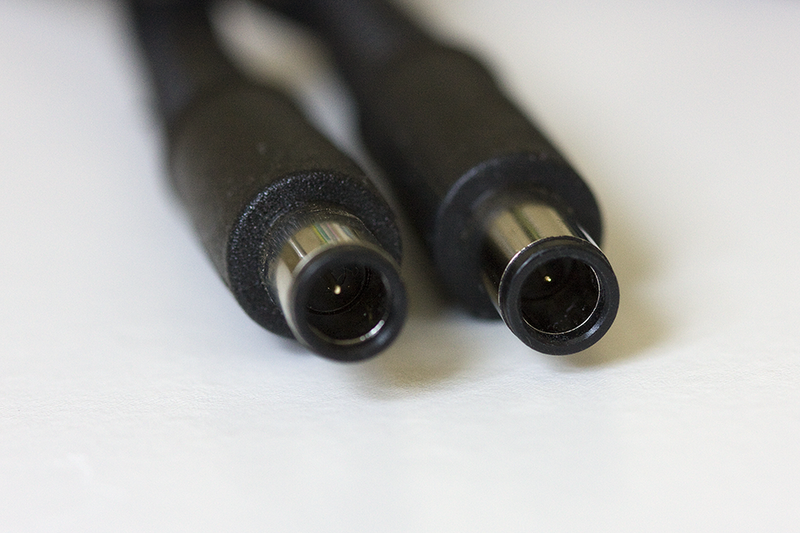 HP has thankfully standardized on their laptop DC connector, at least for laptops that use 90W or less. The USB port is rated at 2A. Even though I now have HP part numbers, I still cannot find any documentation on HP’s site. 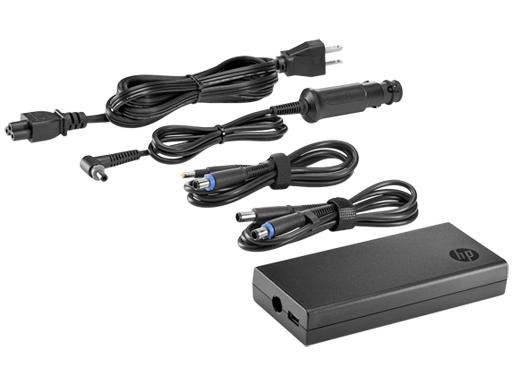 So I scanned the HP 90W Slim Combo Adapter with USB manual (PDF). 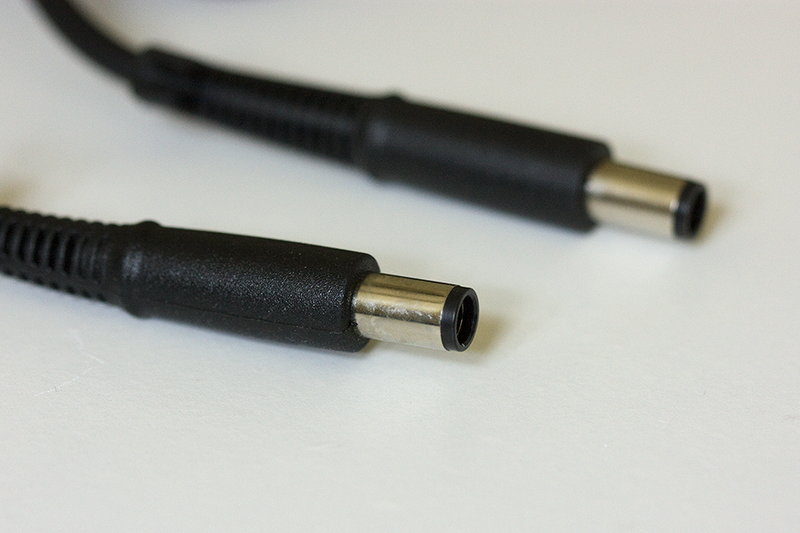 And the all important DC connector (laptop end) on the cable that came with the Combo Adapter. 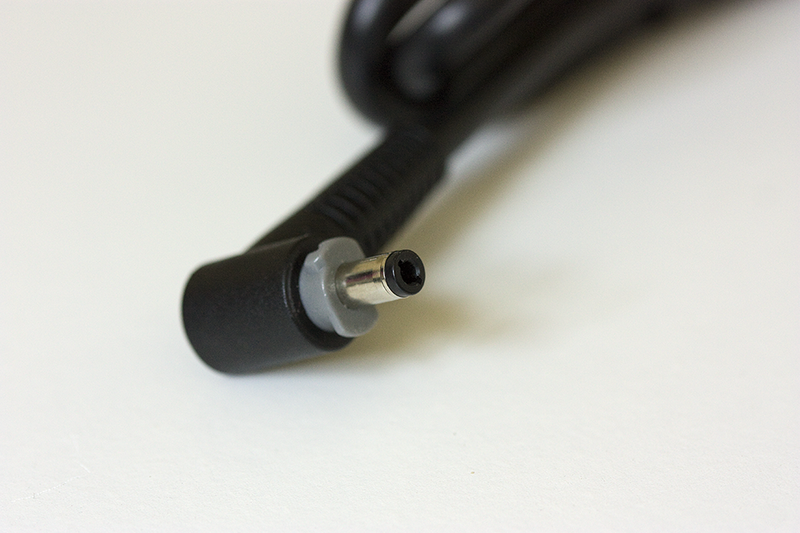 Fortunately it is identical to the DC connector on the AC adapter that came with the laptop. The cigarette lighter plug says it wants 12V @ 9.8A which is 117.6W. 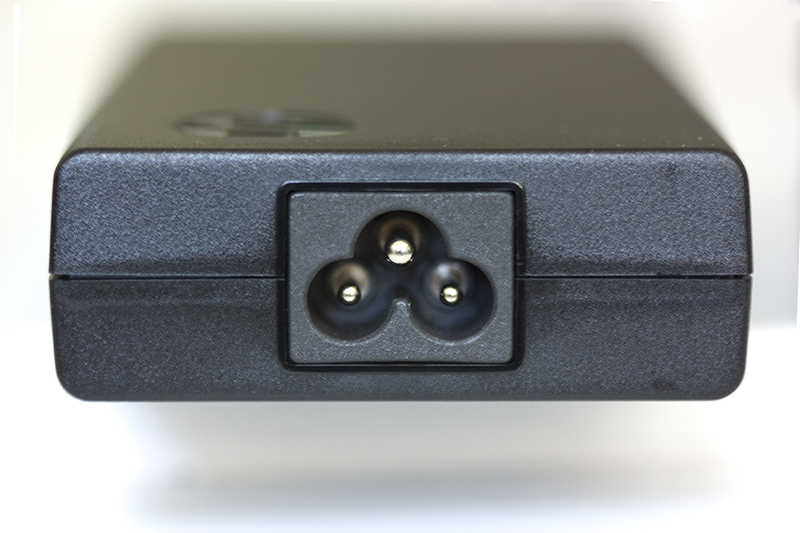 All of the outlets on my minivan warn that the combined output cannot exceed 120W. 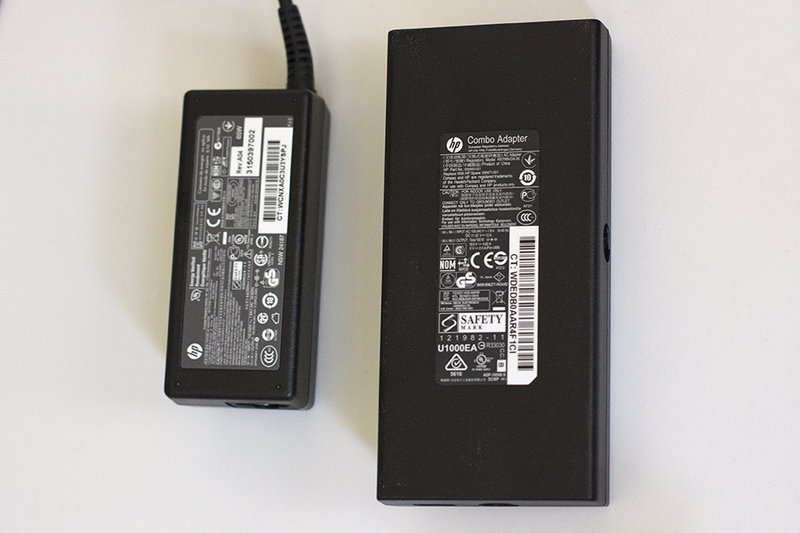 Since the laptop probably uses 65W only at full load, I am fairly certain this adapter will not constantly draw 9.8A. I will measure and post consumption data later. 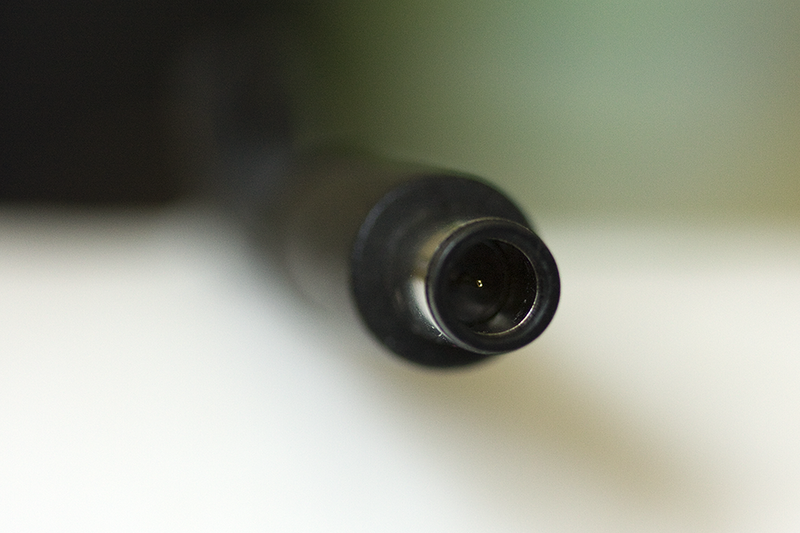 The cigarette lighter plug has a nicely concealed, but easily accessible, 12A fuse (partially visible in my photo, but clearly documented in the manual). 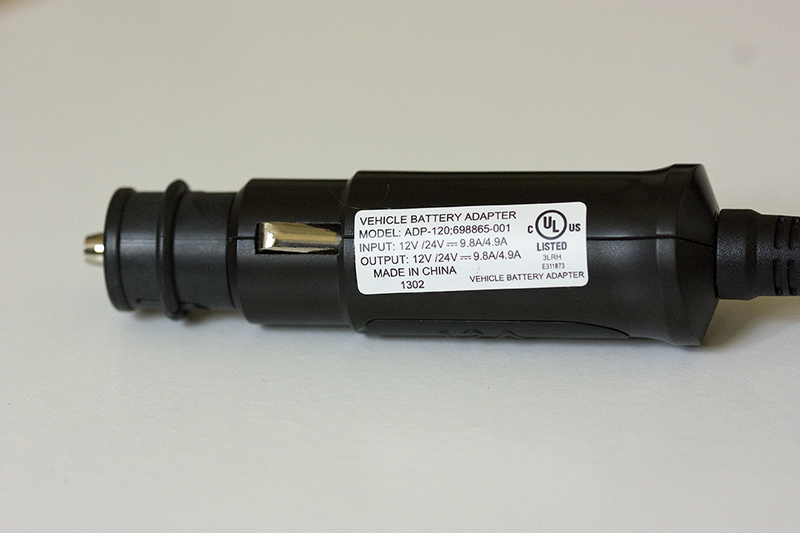 The Combo Adapter outputs 19.5V @ 4.62A (90.9W) + 5V @ 2.0A (10W) = 100.9W = 86% efficiency. 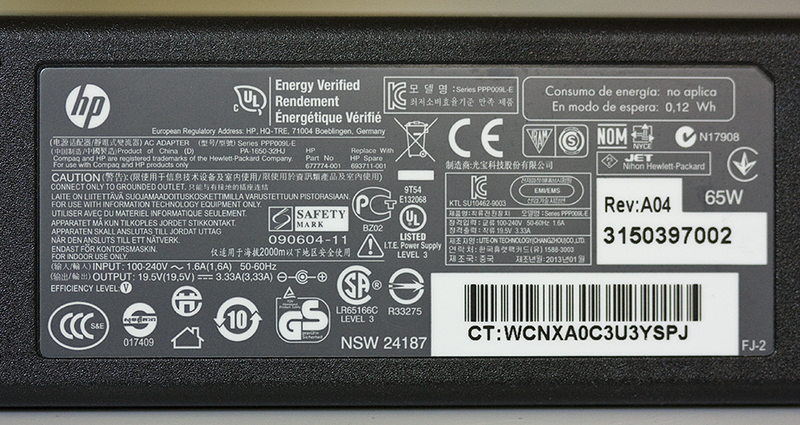 For comparison, here are the specs for the AC adapter that shipped with the laptop, 19.5V @ 3.33A = 65W. Oddly, the Combo Adapter is over twice as big as the AC adapter, so unless you really need DC input, just pack the AC adapter. 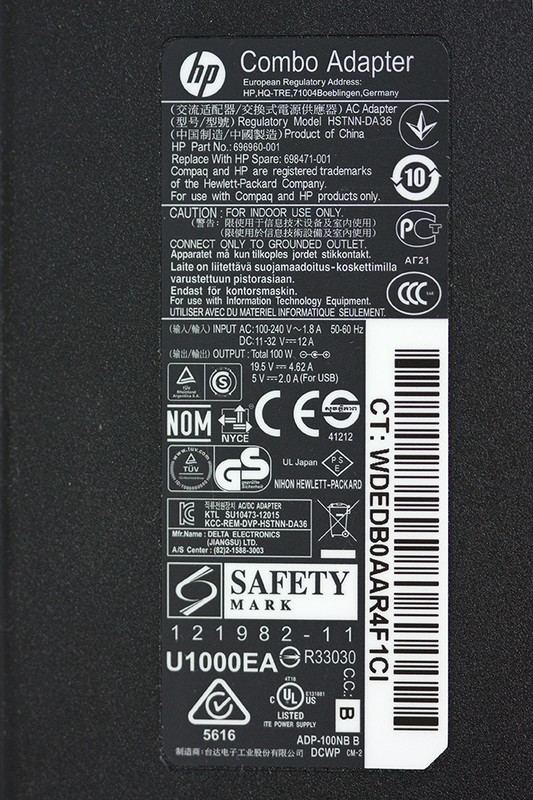 This entry was posted in Computers and tagged auto power, DC adapter, HP, laptop, USB on 2013/06/17 by robert.